Every time I walk outside these days I see lots of pine cones on the ground – and the first thing pops into my mind is, what can I make from them? It’s a free, natural material with an awesome shape. Without any further ado, let's get things to work. Here are some astounding ways to turn pine cones into a beautiful piece of art! This lighted pine cone arrangement is a stunning example of the art of repurposing. It's bound to become a fabulous centerpiece on a mantel or dinner table and will definitely set the mood better than candles. These wonderful spring flowers will surely flourish in your home this fall! It's a lovely display sure to leave a lasting impression. I'm sure this kind of creation is not only great for one season, but perfect year-round. Won't you love it if your home smelled and looked good at the same time? These DIY scented pine cones will give you both, the aroma and beauty all in one without the hefty price of store-bought scents! Everything looks perfect in a frame, right? This easy framed pine cones craft is such an ingenious project if you're looking for a unique way to decorate for the season. 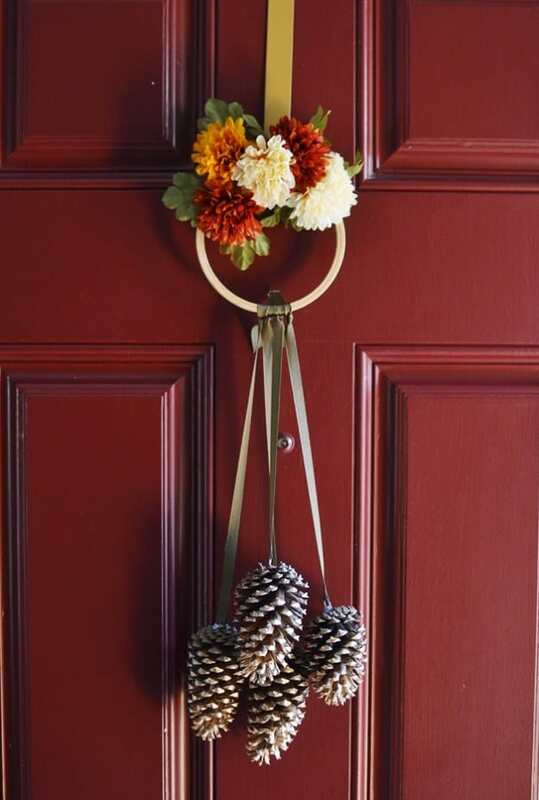 If you don't want to deal with some messy paint, these yarn pine cones are a clever solution. Another fun project you can share with the kids, and you can both pick any color perfect for the season. Your fall gathering will fall to its proper place with the help of these super cute and natural pine cone place cards. Simply stick a tag with your guest's name on it and place it on the designated seat. Which one of these pine cone projects catches your eye? Let us know in the comments section below.